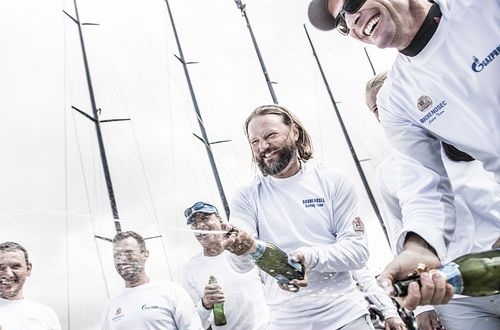 Further impeccable sailing from Vladimir Liubomirov and the crew of his light blue RC44 saw Bronenosec Sailing Team claim the RC44 Marstrand Cup for the second year running. This came after a challenging fourth day of fleet racing off Marstrand Island on Sweden's west coast with a light 10 knot wind and a 'boat disappearing' sized swell that dropped off during today's final three races. Bronenosec's overall victory was helped by their winning the day's second race, thanks to an excellent start. This left them six points clear of arch-rivals Vladimir Prosikhin's Team Nika in second with Nico Poons' Charisma a further two points back in third. For the last race the strategy was clear, as Italian tactician Michele Ivaldi explained: "We needed to be in the same piece of water at Nika and Charisma. Luckily we managed to do that." In the final race Bronenosec came home sixth with Charisma fifth and Team Nika seventh, enabling Bronenosec to win by seven points. "I am very happy. 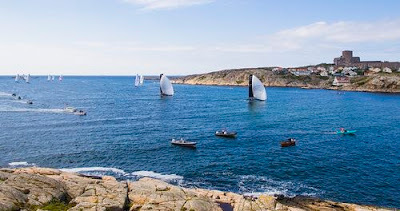 It is our second win in Marstrand and my third time here. I like this place, the people and the organisation. Many thanks to Stena for their hospitality. Now it is a good time to drink something," said a beaming Vladimir Liubomirov. "It wasn't an easy last race because the wind was very light and shifty and it was very stressful. This has been the 'week of the team'. The speed guys, Flipper [Paul Westlake], Cicco [Maciel Cichetti] and Vladimir, did a great job, Alby [Alberto Barovier] put us on the line really well and the guys did the manoeuvres very well. We made very few mistakes," Ivaldi said. Team Nika and Charisma claimed the remaining podium steps, tied on points, with Nika coming second on countback. 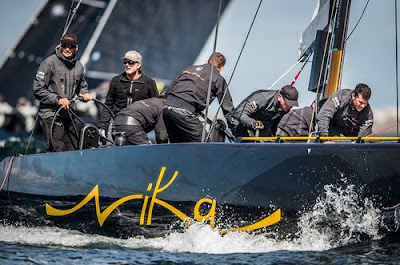 However as a consolation prize for Vladimir Prosikhin, Team Nika has now moved into pole position in 2015 RC44 Championship and can claim the leader's golden steering wheel. The first race of the day was won by Chris Bake's Team Aqua on which Swede Richard Goransson has been helming for this regatta. 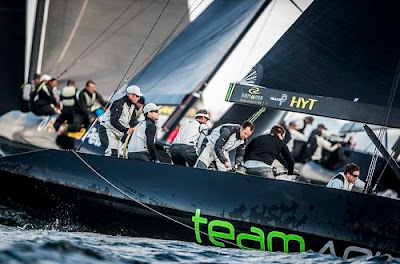 The oldest team on the RC44 circuit has been building up steam slowly. After a slow start to their fleet racing, this morning's result followed a win in yesterday's final race and they were today's top performing boat posting a 1-3-3. However this only bumped the team up a single place, to fifth, one point ahead of John Bassadone's Peninsula Petroleum. 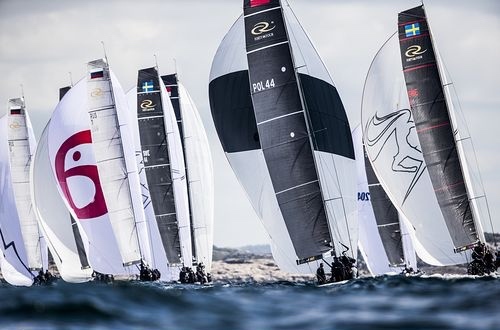 For the Swedish regatta on the RC44 Championship Tour, the final race's results could not have been staged better. 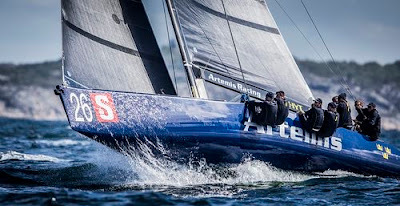 At the first top mark rounding there was the unfamiliar sight of Gustaf Lidvall's Artemis Racing Youth rounding first, immediately ahead of Torbjörn Törnqvist's Artemis Racing. 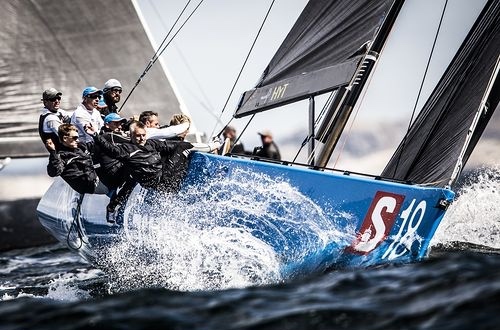 The Youth team line-up includes four up and coming Swedish sailors, but also two Olympic gold medallists, Paul Goodison and Swede Freddie Lööf. "It is an excellent boat and it starts ripping when it is windy. And it is quite tweaky - it is not easy. 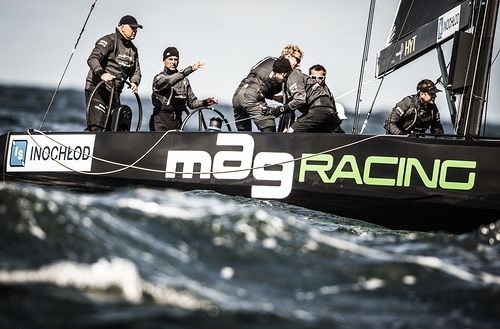 The whole crew needs to be involved in the racing, it is challenging for the whole group which is what makes it exciting," said Lööf of the RC44, who won gold in the Star keelboat at London 2012. 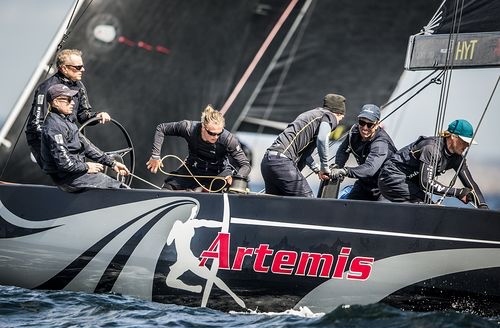 Sadly Artemis Racing Youth's five minutes of fame was not to last and the seniors' team pulled ahead on the first run and held this position for the next lap and on to win at the spectacular finish among the rocks in Marstrand Fjord. "It was exactly what I planned. It has been a good regatta, even though we didn't make it to the podium which was due to two marginal penalties. We have made many improvements just in this regatta. We feel we have the speed and the whole package is working better than it has done for quite some time." said Artemis Racing's Torbjörn Törnqvist. As host, Törnqvist was pleased with the way the event had gone. "It is really popular. We are not coming back next year, but that doesn't mean we are never coming back. We have now been here five years in a row which is more than any other place." Bringing up the rear today was the Polish crew on MAG Racing, who clearly weren't enjoying the giant swell and the lightest wind of the week. Their Croatian tactician Tomislav Basic admitted: "I did a really bad job, but it was hard conditions for everyone. The rest of the week I am satisfied, because we improved some things like our boat speed and now we feel a lot more comfortable and the owner is getting more experience." MAG Racing has joint owners and here Artur Kasner was helming. As a Basic put it: "This is only his tenth racing day in his life!"